Accurate to 0.05 mm (1/20 mm). Inside, outside and depth measurements. Minimum rule hardness 40 HRc. 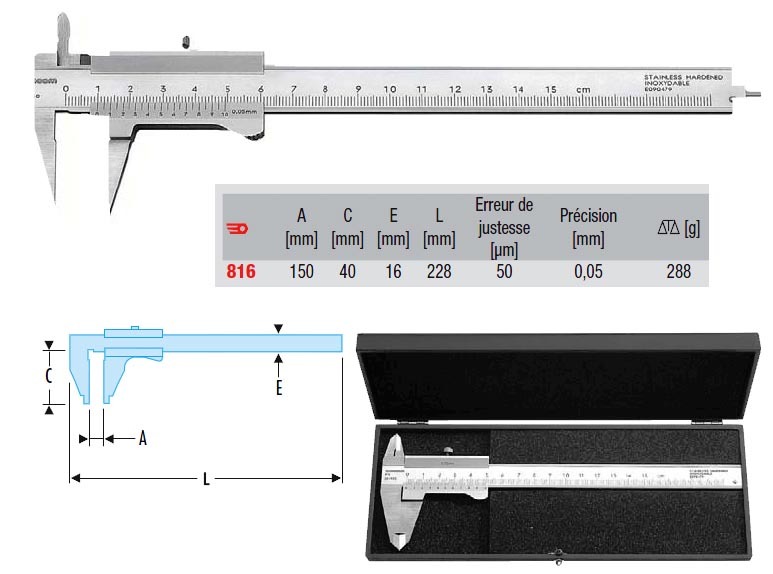 Vernier with thumb positioning guide. Minimum vernier life expectancy 20,000 cycles.